As for the accuser, Umaru Yar'Adua, I have a list of his friends and relations that were allocated plots of land, carved out of government land in Katsina GRA during his tenure. Does that make him a criminal? The Yar'Adua administration has accused you and Nuhu Ribadu of mounting a campaign against the government abroad. What exactly is your agenda, what have you set out to achieve by mounting opposition against the government from overseas? This is completely untrue and wrong on several levels and is reflective of Yar'Adua's way of doing things. First, I have done nothing other than share my three decades of knowing Umaru Yar'Adua as a person for Nigerians at home and abroad to know the true character, motivations and leadership style of our president. And he does not like that because he became president by being unknown by virtually everyone, Yar'Adua deceived everyone including me, and effectively used people I trusted like Tanimu Yakubu to promote character and achievements that were non-existent. By the time I discovered his true color from others that worked with him in Katsina, the election was over. The disclosures in my essay therefore caused him great discomfort. And he does not like that because he became president by being unknown by virtually everyone except in Katsina. Secondly, there are three arms of government. And equating Umaru to the government is doing disservice to the judiciary and the legislature. I have greater confidence in our judges than officials of the executive branch headed by Umaru. Even within the executive, some people are working quietly and tirelessly for Nigeria. For instance, I have nothing but commendation for the head of Federal Inland Revenue Service, new CBN Governor and the Head of Civil Service - they are islands of excellence in an ocean of incompetence and self-seeking conduct. Thirdly, it is clear that Yar'Adua has made a Faustian bargain - to embrace corrupt people and criminalize those that are honest. Look around and take a roll call - Umaru is more comfortable surrounded by convicted felons, career criminals, smugglers, bribe-takers and dodgy lawyers. These are notorious facts that do not need an El-Rufai to state. In fact, in Yar'Adua's interview with the Guardian earlier this year, he confirmed that his relationship with these people is subsisting and more important to him than honest governance! Fourthly, the view that anyone needs to mount any campaign against Yar'Adua abroad is laughable. These countries have embassies in Abuja and consulates in Lagos and have their own information gathering and feedback mechanisms. The media is global now with the Internet. Reuters, AFP, Financial Times, the Economist, BBC, VoA, Deutsche Welle and Radio France, among others, all have correspondents in Nigeria that inform the world. 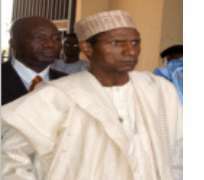 The style of governance exhibited by Umaru Yar'Adua, his embrace of certain characters and the gulf between his words and his actions are well known. Those that attribute Yar'Adua's lack of standing in the world to any other Nigerian should ask him who stopped him from attending two consecutive UN General Assembly meetings in three years. Was it El-Rufai that stopped him? Finally, and most importantly, I believe that the duty every Nigerian owes to Nigeria is patriotism, which is love and fidelity to one's country. Where there is a clash of interest between Nigeria and any one, the interests of Nigeria must prevail. In this instance, I am acting with the utmost good faith established in my heart that the interest of Nigeria and the interests being pursued by Umar Yar'Adua are at variance and I consider it my patriotic duty to speak up about this. This is what I am doing. Now you will agree with me that actions have consequences and my stance has caused me some discomfort at the instance of the administration and I consider this as the price I must pay. I have no agenda other than a desire to see my country governed better and standards of living improved for a majority of our people. Nigeria and Nigerians deserve better than what we have seen in the last two and half years. It is wrong to state that I am mounting opposition overseas. When I was in government, I was vocal with my views within and outside the Federal Executive Council. Before I went abroad, I responded to every attack on my reputation and tenure. I have always been this way. The fact that I am abroad was due to my studies. What is the response you get from institutions and individuals you talk to about Nigeria and the way it is governed at the moment? What I hear from Nigerians and friends of Nigeria are expressions of disappointment and despondency. The country is perceived to be regressing domestically and internationally. Some even go as far as predicting the failure of the Nigerian state if the current trajectory is maintained, with grave consequences for the stability of our sub-region, the continent and the pride of Black people all over the world. You live in Nigeria - and my question to you is – 'are you better off than you were 30 months ago?' I think every Nigerian, except a handful of Yar'Adua's cronies will answer in the negative. Won't your objective have had greater impact if you had to oppose and critique the government from home? I am not a social critic, either by training or orientation. My public service record in both BPE and FCT - is there for all to see - I did not criticise and lament, I did not say one thing and did the opposite, I took tough decisions and got things done no matter whose ox was gored. And even though I had decided not to be in public service any longer, when Yar'Adua asked me to serve in the National Energy Council, I accepted as it was part time, and I believed he was serious about addressing our energy challenges. I resigned when I realized that it was sloganeering 'ad infinitum', and left the country for my studies shortly after. I had things to do abroad like completing my studies. And I can comment on the state of my country wherever I am. Millions of Nigerians in the Diaspora participate in their nation's governance that way. The feeling that only those resident in Nigeria know what is going on, or are the only ones qualified to comment is incorrect. An administration that shuts down newspapers, and arrests journalists and bloggers must be confronted both from within and outside Nigeria. I happen to be abroad now, but will return home at my own time to continue what I believe to be the right thing. Being a prominent member of the PDP and a member of the last administration right in the thick of policy formulation, to what extent has continuity been sustained in the present PDP government? The Yar'Adua administration is characterized by policy suspension, reversal and discontinuities. So continuity has existed only in breach. Examples abound but I'll give you just one. Take the NIPP, ex president Obasanjo was very anxious about the power situation in Nigeria and set up this project. When Yar'Adua came in, he made statements while receiving Oby Ezekwesili in her new capacity at the World Bank to the effect that he believed that the amounts spent by Obasanjo were wasted. He came up with a figure of $10 billion. When his own Senior Special Assistant (Engr. Foluseke Shomolu) wrote him a memo to the effect that the figure quoted was inaccurate, the president fired him. Very conveniently, the House of Representatives began a probe of the NIPP under Obasanjo and sensationalised it. The National Economic Council also had a committee under Governor Suswan of Benue reviewing this NIPP. After a year, both committees were not able to establish any wrongdoing against Obasanjo and in fact confirmed that the actual amount spent was not $10 billion, but actually a fraction of that amount (less than $6 billion committed and $3 billion actually disbursed - the exact amounts quoted by Engr. Shomolu). And all that time, General Electric turbines worth billions were rotting away at our ports all because this administration wanted to gain traction by maligning its predecessor. In his campaign video posted (http://www.youtube.com/watch?v=4iBy39WzLlI) on the Internet, Yar'Adua promised to generate 30,000MW by 2011 and 50,000MW by 2015. The target of 10,000MW by December 2007 has been revised downwards to 6,000MW by December 2009, while in mid October they cannot generate half that number. So to answer your question in specifics, this administration has thrown continuity to the dogs. And more worrying is that since he came into office, he has not fulfilled a single promise he made while campaigning, at his inauguration and in all his speeches. The Yar'Adua administration does not appreciate the most basic lesson of nation-building: it is done through policy continuity and building on foundations from generation to generation. Which major policies or programmes do you believe should have been brought to fruition in a timely and efficient manner? In his Inauguration Speech, Yar'Adua promised to do a whole lot. In my view, four items should have commanded his attention and brought to closure by now - complete the power supply improvement programme (the NIPP and related projects by December 2007 as scheduled), the Niger Delta infrastructure development programme, the railway modernization programme and Electoral Reforms. I chaired the very last cabinet committee on power supply improvement and we had identified all the bottlenecks to timely completion. The turbines were already in-country then, and what was needed was to focus on accelerating the gas gathering and transmission projects, build access roads to some of the sites and resolve compensation issues in a couple of communities. The funds were available – he just needed focused project management, but Yar'Adua did not comprehend the issues and put everything on-hold for two years with cost overruns that I am sure will cost the nation billions. The Lagos-Kano twin-track, standard gauge railway line would have revolutionized transportation and reduced the price variance of agricultural and consumer goods across the country, while relieving pressure on our crumbling road infrastructure. Yar'Adua suspended that and is still unsure which way to go. This will also cost the nation billions in contract cancellation costs or overruns if the suspension is lifted. The Niger Delta Master Plan had been prepared and subjected to extensive consultations within the region. Its implementation would have provided the enabling environment for enhancing employment opportunities, internal security and growth of the economy. Several key infrastructure projects had been commenced and would have been completed if there was the will and commitment. That was put on hold and the Ledum Mittee Technical Committee report was produced and never implemented either. The new buzzword is amnesty and we hope that when the hype is over, the real work of infrastructure development, governance and security improvements will be addressed. The Uwais Electoral Reform Committee produced an excellent piece of work complete with draft legislation and constitutional amendments. The Yar'Adua administration's response was to first misrepresent some of the recommendations and then use his dodgy lawyers to ensure that the resulting White Paper will lead to no reforms at all. It is the same Yar'Adua style - say one thing, keep repeating it to convince people, and then do the exact opposite with a straight face! It is not too late for Yar'Adua to redeem himself and wake up to these issues and a few more that focused implementation will lead to results before the next elections in 2010 or 2011. Are there things you feel that could have been handled differently either as a minister or as the director general of the BPE? No human being is perfect and one is learning all the time as one gets older and more knowledgeable. But as I have said before, I have never repeated a class in my life, so I never look back. I tried to execute any assignment given to me by getting smart people to work with me, empowering them and driving execution. I leave the judgment on what we did in both BPE and FCT to posterity. How would you react to the notion that your seminar presentation while at Harvard on the state of governance in Nigeria was driven by vendetta? I do not understand the vendetta you are referring to. How can an individual standing up in protection of his reputation, life and property against an insecure, lawless and vicious president be accused of vendetta? I do not have the wherewithal of a person in control of the coercive powers and unlimited treasury of the state to pursue a vindictive agenda. I supported Umaru Yar'Adua's bid for the presidency. I raised money for him. I campaigned for him. I was not prepared to rig for him so Buhari won in FCT. And I left Abuja to mind my own business. I have said this before and I will say it again - I am grateful to God for many blessings, particularly because I am a person incapable of envy towards another person, or fear of any person born of a woman. I had the greatest respect and feelings of warmth towards Yar'Adua. Of course, I did everything in good faith believing that he was the right leader who would be fair and just in his governance style. Then he decided that some of us are threats to him. A campaign of character assassination, false allegations and charges, and threats to my life and property then ensued. What am I to do when the whole machinery of the government goes in a persecution-mania against me - an ordinary citizen. And the president keeps denying that he is the architect of it all? I had no choice but to defend myself, and in doing so show that the accusers are the wrong doers. I had to begin systematic research and documentation of Yar'Adua and his cronies to make my defence effective and credible. Part of that included unmasking Yar'Adua's style. And I have more, much more, to be published in future essays and my memoirs. The lack of any concrete accomplishments by Yar'Adua and the preference for slogans to addressing real problems, have not helped him either. Yar'Adua started the war against my person. I am simply responding - against the whole might of the Nigerian state. No self-respecting person could be expected to accept what is going on by raising a white flag of surrender or succumbing to the impotence of resignation. I call that defending one's reputation, not vendetta. As Isaac Newton said, every action has an equal and opposite reaction. I am simply putting things in the right perspective while also performing my patriotic duty by alerting my nation to the dangers posed by this form of leadership and in doing this I am going against the whole might of the Nigerian state improperly deployed by this administration. And everything I wrote in my essays is true and has not been contradicted by Yar'Adua and his people. They sponsored anonymous writers to attack my person and attribute motives, many of which are laughable. No one impeached the facts or Yar'Adua's character profile and as time wears on, more and people will see the truth of what I wrote. In summary I will say this - in Nigeria, as things stand now, the inmates are running the asylum. Now that you've finished your academic studies at Harvard, what are doing to pre-occupy yourself these days and where exactly are you resident? Since graduation from Harvard in June, I have gone on a long holiday - something I have not had for over 10 years. I have been writing what will be an interim memoir, and reconnecting with my children. Many of my children grew up while I was busy being a public servant. I am now catching up and rebuilding my relationship with them. I have been spending most of my time in the USA, the UK, Lebanon and the United Arab Emirates. Are there any international job offers that have come your way or are coming your that you are considering? I have had offers but my preoccupation has always been Nigeria. I have worked abroad twice for short spells before and did not quite enjoy it. I was a Teaching Assistant at Harvard which I enjoyed very much, persuading me that my true calling is teaching in a University. May be that is what I will do when I return home. Is there any chance of you coming home to take on the authorities over the charges they have against you? All the charges as well as EFCC's falsehood are being challenged in court. My lawyers are doing an excellent job of that. The government has one case against me and I have filed six against them. There are two cases of violation of international law in foreign jurisdictions. One of the cases against the government is scheduled for judgment in November. I intend to be back home, in sha Allah, before Christmas, this year. You always spoke of writing your memoirs at some point, is this something you might be considering? I am certain it will be explosive and possibly a best seller here in Nigeria. As stated above, I have been writing my story - what I call an interim memoir, because I am not yet 50 and too young really to write a real memoir. My nine years in government have been quite eventful and I think my story will inspire as well as prepare young people of humble backgrounds to the challenges of public leadership. It has not been easy and the experience of writing has humbled me and made me respect writers even more. The story will be factual and will contain supporting documents and records of my service. I kept detailed notes and diaries and have copies of all my key products while in PIMCO (1998-99) BPE (1999-2003), FCT (2003-2007) and the Presidential Persecution Period (2007 to date-). I hope it will be an inspiration to our young people. I will be happy if it becomes a bestseller - God knows I need the money! With respect to your travel documents, I noticed your lawyers are challenging the propriety of the FG instructing our embassies not to issue you a new passport or offer any consular assistance. What are their chances of upturning the decision? The story of the denial of the renewal of my passport and the blanket refusal of consular services to Nuhu Ribadu and I are illustrative of the double-speak of the Yar'Adua administration. They talk about rule of law and observe the rules only in breach. The administration's problem is rooted in the thinking that Nigeria is a feudal-medieval empire under Yar'Adua instead of a 21st century democracy. Its lack of foresight stems from failure to appreciate that in today's age, information transparency must be taken as given. When I was in BPE, I had a rule to guide my colleagues when they are taking a decision and are unsure if it is the right one - The Front Page Rule – 'If what you have decided appears on the Front Page of THISDAY tomorrow, would you be able to defend it?' If you can, go to sleep, it is the right decision, and if you cannot - think again. If the media had not obtained and published the damning evidence of their decisions and actions, they would have maintained the lie that – 'El-Rufai was too big and arrogant to observe due process and wait one week for the passport.' The Nigerian media caught them red-handed and we are grateful for the vigilance and integrity of some sections of our media and blogging community for this patriotic expose. The Supreme Court had already ruled clearly on the matter in Olisa Agbakoba's case against the SSS so our chances are near 100%. In addition, I had petitioned the UN Human Rights Council for the violation of my rights under Nigeria's treaty commitments. I was certain to win in the long term, but Yar'Adua was not bothered. He was willing to infringe on my rights, his oath of office and ignore the Constitution as long as it inconvenienced me, and ensured that I cannot return to Nigeria. They do not want me back while shouting since October 2008 that they were going to extradite me. How do you travel right now? My passport is still valid, I think, till 2012. It is just that I ran out of pages for visas. I have speaking engagements all over the world and some businesses I am pursuing. These I have been unable to do because the passport booklet is full. I can travel but cannot apply for new visas. It is inconvenient and may have cost me some lost business opportunities so I am looking at options for legal redress. Have there been any threats whatsoever to your person or family overseas? No, there have been no threats to me or my family abroad. However, I have hired lawyers who keep the authorities in the countries I visit informed of my movements just to be on the safe side. Your wife and children had problems with the Nigerian Immigration Service recently when they flew into the country, what exactly was the problem; were they unduly harassed and held in the airport against they will? First I think it is important to clarify that the Immigration Service DID NOT unduly detain my family. It was the SSS that did that. The immigration officers were courteous and stamped the passports even if they took over 40 minutes. After this, the SSS seized the passports and held on to them for an hour or so, while my family waited for clearance from the “powers that be”. And it was not the Immigration Service that refused to renew my passport, it was the Nigerian High Commission in the UK on the orders of President Umaru Yar'Adua to the NSA and then to DG-NIA. Has any one tried to make overtures to you from the government or on its behalf to resolve your differences with the administration? I am not aware of any such overtures. And I do not have differences with the administration. I am just one of Yar'Adua's targets. He considers any Northerner with a reasonable profile a threat to his life presidency, followed by succession by his family members. These are not based on any facts, logic or common sense and are near impossible to settle. Do you see any end in sight to the current impasse? Everything that has a beginning invariably has an end including life itself will end one day, so this will end. Yar'Adua is president now and has the machinery of state to harass me and my family and propagate stories to tarnish my reputation. He will leave that office one day no matter what. Then the impasse will end. As for me, as long as I live, I will speak out to defend any false allegations against me and use every legal machinery available up to the highest courts in the land. Has your experience since leaving government given you a new perspective on life, politics, management, humanity, etc? Certainly. When you leave a high-profile public office, you go through an adjustment process which tests your faith in humanity, your self-confidence and trust in the future. Depending on how far one deluded oneself in believing what the sycophants around ingrained in the mind, the adjustment process can be easy or painful. In my case, I am lucky to have faithful spouses, good friends and family members who not only helped ground me when I was in the corridors of power, but supported me through the period of adjustment. The fact that I was busy completing two degrees in two years also helped. The problem from Yar'Adua added to the burden but it was beneficial as it helped me know who my real friends and family members are. In some ways, I am grateful to him for the experience - painful as it has been. I thank God for President Yar'Adua because the persecution and pain only drew me closer to my Creator. I have learnt a lot from this experience and I think on the whole, it is going to make me a better manager of my life, human and financial resources. That I am in excellent health in spite of these stresses is something I will forever be grateful to Allah for His Blessings, Mercies and Grace. Would you contemplate running for elective office sometime in the future? This is not the issue for me now. My priority is to protect my reputation, bond with my family and rebuild my personal finances. I will be active in the political space certainly, but running for office and full-time public service are not on my table right now. I intend to collaborate with other like-minded Nigerians to release our nation from the current administration. Nigeria deserves better, and I will work with anyone and in any capacity to have better quality leadership elected for Nigeria in 2011. Yar'Adua Must Go! As FCT minister you went about the demolition and revocation of several properties leading to several court cases and subsequent rulings by the courts which you often times disregarded. Now you are seeking justice from the same justice system. Don't you think your actions at the time could be used against you in the present cases you have against the government by judges whom you once discountenanced? This is one of the falsehoods promoted by the Yar'Adua administration and I am happy for the opportunity to respond and debunk them. First, there was never an instance in which as Minister I was served with a court order and I disobeyed it. With regards demolition, the only case I remember is that of Bulet Construction that illegally occupied government land and was given ample time to relocate. The court order was not served on us and the Chief Judge of the FCT who gave the order discharged it after being availed of Ismaila Funtua's shameless and illegal conduct. When any person is seen to disobey a Court Order, the Court can order arrest and imprisonment. It is not the President or the media that can remedy the disobedience. And indeed, in one case involving sale of houses, I appeared before a judge of the FCT High Court and defended my actions and was accordingly discharged. If I had convinced the judge, he could have imprisoned me for contempt of court. So it is totally false to assert that I "often times" disregarded court orders. In fact I never did. The two cases I mentioned both involved improper service or no service at all, of the orders and I cannot obey an order that I have not been served. This is what both judges found. Now coming to the reference of my cases to the justice system, the Judges, particularly those resident in Abuja know what we did as an administration. The lies, the rumours and innuendo are not lost on them. And they know the truth - not Yar'Adua's version. In any case, it is my right to approach the judiciary for redress and I have every confidence in their fairness. And indeed, what has occurred in the courts of law so far has vindicated the legality of our policies and decisions. The State Governor of Anambra, Peter Obi lost his plot of land due to failure to develop within the statutory time frame. He challenged the revocation decision in an Abuja High Court. The Court ruled that the revocation was properly done and Governor Obi lost . Former Minister of Aviation Oluwole Adeosun had a plot revoked due to non-development over 10 years after allocation. He sued me personally when I was no longer Minister for improper exercise of power and sought damages. The Abuja High Court gave judgment against Chief Adeosun just last week. We just have to wait and see how the rest of the cases play out. Your stewardship in the FCT resulted in a probe by the Senate which unearthed a lot of allegations over land and property allocated to yourself, friends and family. Did you not compromise your position as minister by awarding land and property to yourself and family, among several other charges? Let me respond by setting the record straight with facts. First, It is not true that as Minister, I allocated any plot of land to myself. Instead, I revoked a plot allocated to me in Asokoro by Minister Kontagora in 1998 for my failure to develop by 2006! The plot was allocated to an applicant I do not know and has been developed already. And I challenge any one to prove otherwise with facts. • Every Nigerian citizen above 21 years/company with Directors above 18 years is qualified for at least ONE plot. • Valid and subsisting application with payment of charges. • Equality of States is not equality of allocation but dependent on applications received. • Capacity to develop is the key criterion as Abuja needs to be developed rapidly. • City and Satellite Town allocations are dependent on financial capacity evidenced by income levels. • Non-residential allocations shall be based on need and capacity to develop. It is the practice for public servants and high-ranking government officials to exercise the discretions under the powers of their office to enrich themselves through the use of front companies, fake names and names of close associates and even deceased family members. It is my refusal to do this but to comply with the criteria approved above that became the kernel of the elite anger against me. I am not a hypocrite. I will not allocate a plot of land to my wife under a fake name. If she applied for plot and meets the criteria approved by the FEC above, I will approve the allocation and that is what I did. In all, I approved the allocation of land to over 27,000 applicants that I do not know, yet I am expected to exclude those that I know. That is hypocritical. Any one that is qualified and entitled to land should be allocated. If you are suggesting that approving the allocation of a plot of land to one's friends and relations compromises one, then I will say, you are relegating one's friends and relations to the status of second class citizens - an unconstitutional and illegal act and violation of the oath of office we took as public servants. As for the accuser, Umaru Yar'Adua, I have a list of his friends and relations that were allocated plots of land, carved out of government land in Katsina GRA during his tenure. Does that make him a criminal? I do not agree. A follow-up to that is the case of the judge whose house the FCTA took over and was later to die possibly as a result of that experience. Don't you think that all these helped to compound your problems with the National Assembly and federal government, and isn't there a tinge of guilt over what happened to the judge? This is the misrepresented case of late Justice Bashir Sambo. Let me clarify for the umpteenth time. First, judges houses were not among those to be sold under the FGN Sale of Houses programme. The initial error in offering the house to Sambo was because he was chairman of the Code of Conduct Tribunal, now chaired by Justice Constance Momoh. When the error was discovered and based on advice from both the then Chief Justice of Nigeria and the then Attorney-General of the Federation, the offer was withdrawn and monies refunded. Justice Sambo collected the monies and took us to Court. He had retired by then , living rent-free and Justice Momoh was staying in hotel accommodation. There was no court order restraining us and after several notices and his requests for more time, he was legally and properly ejected. The man was over 70 years old, and even babies die when it is their time. As I challenged Senator Smart Adeyemi during the public hearings, I do not know if he is a pathologist and whether an autopsy of Sambo's corpse was undertaken to attribute cause of death. It is all useless rabble rousing and this will not bother me in any way. Sambo is dead and cannot defend himself so I am reluctant to go further. In my memoirs I will publish some of his letters to me to shed more light on this and other issues. In the end it is God that will judge between us. The National Assembly and I have had a long relationship of adversarial interaction. Right from my BPE days, I had cause to take them to court and won a judgment that defined and limited the powers of the legislature, (El-Rufai v. House of Representatives (2003) 46 WFN 70-103) saying that the only two cases that the legislature can pursue are investigations of corruption and misspending of public funds. Then came the Mantu-Zwingina affair and "Silence is the best answer to a fool" incident. Another attempt to victimize came with a pronouncement on 25th of May, 2005 from the House of Representatives that sought to ban me for the first time from public office for life. In the ensuing review of the case, the Federal High Court, Abuja, delivered a judgment on the 24th of July, 2006 – the second court ruling against the Nigerian parliament in my favour. It is not expected that I will ever get fair treatment from the legislative arm of the Nigerian government. And this was compounded by the undue influence, collusion and outright bribery of the legislators with plots of land in Maitama and Asokoro, and even houses allocated to them and their staff in Abuja by my successor. We have details of all these that will be published in my memoirs. As a key and loyal member of the Obasanjo government, you were perceived to have supported the Third Term plot of the former president. Why did you support what was obviously unconstitutional? I am happy you used the word "perceived". I did not support what you call the Third Term Plot. Indeed, a few of us that took principled positions on the matter paid (and are still paying) a heavy price because the Yar'Adua administration is a government of Third-Termers. Yar'Adua hosted the "consultations" for the North West Zone in Katsina in which two protesters were killed. When the story of Third Term is written, people like Senator Ken Nnamani, Hon Aminu Bello Masari, and Dr. Usman Bugaje in the legislature then, and some people in the media will reveal the truth. All I am prepared to say at this point is I never supported Third Term, but I know those who did. My memoirs will provide more details. Don't most of the problems you have with Yar'Adua stem from the fact that you might have coveted the top job yourself and were disappointed when Obasanjo threw his weight behind Yar'Adua? Even Nuhu Ribadu, your close friend and ally was alleged to have told Yar'Adua that he would not support his candidacy, and that he'll only support you for the office of the president. I did not covet any job and have never done so in my life. Apart from the first job I applied for during my NYSC, I have never applied or lobbied for a job in my life. What often happens is that my abilities are observed by someone who needs them and makes an offer. While many people, (and this may include Nuhu Ribadu) had enough confidence in me to think I could run for an elective office - state governor, senator or president - I have never considered adding these burdens to my life. I am humbled and appreciative of the thought, but my answer has always been, thanks but no thanks. As I said before, Yar'Adua's spiritualists have told him that I was one of his competitors and consistent with his feudal-medieval mindset, he has decided that it is essential that when two princes compete for a throne, the losing prince must die. So as the prince that in his mind lost, I must be destroyed at all costs. His Attorney General has confirmed that in his media briefing in April. And I am not the only one - Ahmed Adamu Muazu (Bauchi), Ahmed Makarfi (Kaduna) and Abdullahi Adamu were all competitors that must be similarly excluded from the mainstream and destroyed if possible. That is vintage Umaru. But he forgets that there is God, who has control over all things. Is it true that you are sponsoring or supporting a political party on which you might possibly contest or use as a platform to support someone else against Yar'Adua? It is true that I am involved in widespread outreach and consultations to form a coalition that will challenge Yar'Adua's desire to punish Nigerians with incompetent and corrupt governance. Whether the outreach leads to the creation of a political party will be a matter to be determined democratically by those that are leaders and members of the Group. I am certainly determined to support someone else that will be better than Yar'Adua. That person will emerge from the consultations and internal democratic process within the Group - and it will not be like what just happened in Anambra State! You said in your response that current power generation capacity is not up to probably less than half of the 6,000MW December target. This assertion is not entirely correct. The Power Minister who once worked under you in the BPE recently revealed that we have generating capacity of almost 5,000MW and the government is on course to meet the 6,000MW target in 3 months. Doesn't this indicate that the FG is trying to keep to its promise, even if not the campaign pledge? It is not "generating capacity" Yar'Adua promised to raise to 6,000MW. Nigeria's installed generating capacity was above 6,000MW even in 2003 when I was in BPE and was briefly member of the NEPA Technical Board. What Yar'Adua promised and my former colleague, Dr. Lanre Babalola is to deliver is raising "actual generating capacity to 6,000MW (from about 3,200MW when we handed over), transmitting and distributing it nationwide". Right now they are NOT generating, transmitting and distributing 5,000MW. And we will check back on the 31st of December. Everyone should be vigilant so they do not change their story to installed capacity, blame the militants or blowing pipelines, or God for interfering with the rainy season. You must admit that some measure of success has been recorded through the amnesty programme; at least there is peace in the Niger Delta. What more does the government have to do to consolidate on what has been achieved so far? I am prepared to accept that the militants and their leaders have been offered money and promised contracts and jobs to lay down some of their arms. And they will continue to be paid in lieu of earnings from kidnapping and oil bunkering. I hope the truce holds. But as I said, the hard work must begin - economic development is impossible without investments in physical infrastructure and human capital, and security of lives and property. These cannot be achieved without better governance in the region. With criminals like James Ibori still pulling the strings, I do not know how that can happen. Like every well-meaning Nigerian, we hope Yar'Adua will wake up and start addressing the fundamental problems - by clear thinking and hard work, not sloganeering and bribery. I see you are travelling around a lot, where are the resources coming from to support your travel, business and living expenses? I have been travelling between the UK, USA and the Middle East mostly. Wherever possible I use some of the over 1 million air miles I accumulated in my years in public service. Other times, I pay with my savings and earnings. By the grace of God, I became a chartered quantity surveyor licensed to practice in the UK and indeed every Commonwealth country since 1982. My consulting firm - El-Rufai & Partners founded in 1982 still thrives with offices in Abuja and Lagos. I have made some investments in telecoms and financial services that have turned out to be profitable. I am grateful to God. I have never been very rich but have never lacked anything in my life. My family members - particularly my brothers - have been generous, and a handful of friends as well. I work too, consulting for companies and countries wishing to do business in African countries. For instance, at Harvard, I was engaged as Teaching Assistant for Statistics. And my needs are not much. I live a simple and austere life. Most of my money is spent on books and electronic gadgets.